This is my sister, not my biological sister but still my sister. Her name is Aiman Adelshiyeva, and she is from Kazakhstan. We met in high school through a international exchange program, FLEX (Future Leaders Exchanges Program), whose main focus was to create stronger connections between countries that were effected by the cold war. Because of the leadership aspect of this organization I was lucky to meet my sister through another organization (ahem ahem FFA) where we met through our Floral Design Team. Well long story short she ended up moving into our house after a disastrous first house placement, and since that time she has been a apart of my family. To be frank Aiman is a not a country girl, when she first met our dogs she ran away to escape them. In fact there might have even been a slight yelling involved as well. Although slowly she acclimated into our life, enjoying the crazy hustle and bustle of living on a 1/3 acre farm. Either helping me with the livestock, or playing with chickens she was always helping out. Even taking on the dreaded chore of dishes (cue the shudder). We don’t get the see each other often, us being on separate sides of the earth. 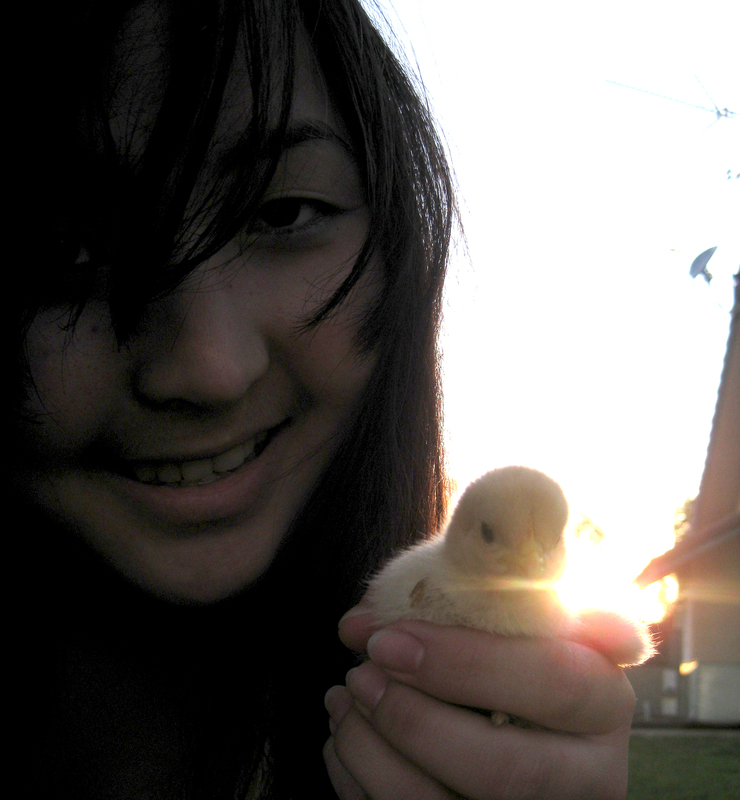 Although that doesn’t mean that I don’t miss her, but I will always remember her being tickled pink over the chickens. It always a reminder to be to stop and enjoy the small things that has agriculturists we normally see every day. Sorry for the late post today things were crazy, it being midterm season and all.